Five startups began working in April on rapid prototyping, branding, user validation and go-to-market planning as part of Tallwave’s High Tide startup commercialization program, which is a joint venture with Hansji Corp., owner of the Luhrs City Center. Two were eligible for $50,000 in seed funding. Scottsdale-based HumansFirst Technology (and AZTC member) developed its HER app that lets people shop, book travel and check out using voice or text as a solution to shopping cart abandonment. 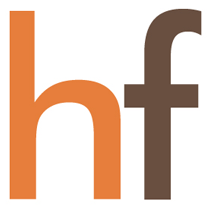 “Think Amazon meets Siri” said HumansFirst Technology President and Co-founder Gregory Goehner. HER app is available now on iTunes and Google Play (http://www.hershoppingapp.com/) and generating revenue with Amazon, Expedia, Nordstrom, TOMS, Walmart and more than 50 affiliate partners.